The main advantage of this hose is its expandability. At 1.9 pounds, this is one of the lightest and smallest hoses. This hose neither kinks or twists, which is unlike others in the market. It is also available in different sizes, 50 ft, 75 ft, and 100 ft, which is the distance the hose expands to after the tap is turned on. Telebrands, the manufacturer of Pocket Hose, promises a money-back guarantee, which is their way of assuring quality. This hose should not be dragged over any rough surfaces like concrete or hard ground. Such friction causes the pipe to break, leading to leakages. When used with a different water connector, there may be a leakage on this connection. This reduces the effectiveness of the process. Many customers have also noted that the pipe does not extend as stated. If it said to go as far as a hundred feet, it means that this length is the best the pipe can do. In practice, the hose might extend only to fifty feet. It is best not to use this hose with a controller at the open end. Doing so would cause the hose to burst or split after the accumulation of pressure from the water. 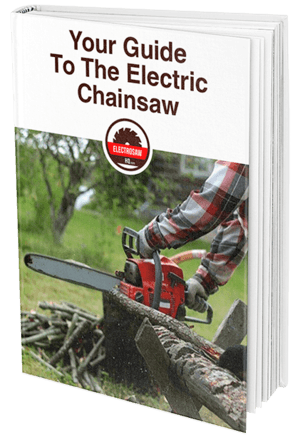 Getting the correct hose for your back and front yard uses is important. Most customers look for features such as durability, sturdiness, and relatively small sizes to make storage easier. One such product is the expandable Pocket Hose Top Brass II that is available in 50ft, 75ft, and 100ft. 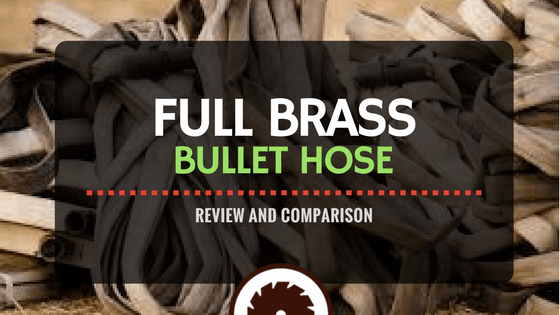 In our Brass Bullet Hose Review, we'll take a close look at this hose and help you determine if this is the right hose for you. Performance: The pocket hose top brass bullet reviews by the customers have given different accounts of its performance. For some, the main advantages of this hose come from its light weight and its small size, which makes it easy to store and carry around. However, the main aim of any hose is to deliver water to the source where the user expects it to get to effectively. The pocket hose top brass 100ft has sorely underperformed in this area since, during use, it bursts or splits unexpectedly, inconveniencing the user. The optimum performance of this hose can be seen only where the water pressure used is low. Moreover, where a controller is used to turn off the water at the open end is not used, the hose stays for a relatively long time. Forgiveness: Most buyers want an expandable hose due to its small size, which makes storage easy. During use, this hosepipe expands to its full capacity, but after use, it shrinks back to its normal size without water. The only condition is that you will be required to drain any water that might be in it after use. The hose, on the other hand, is made from a seamless micro-mesh fabric braid and has a cloth-like quality to it. This black stretchy material that is used to make the fabric also feels quite strong, but it is still stretchy. However, the brass connector has been found to leak in certain situations. Though the hose fabric feels stretchy and strong, it splits and bursts when infused with higher pressure than it can handle. This compromises the quality of the build of this hose. Look and Feel: This hose is surprisingly quite attractive to look at since it has two main colors; black and brass. The brass covers the spray nozzle and the connectors, and the shiny coating is hard to look away from. When you hold them, you get to feel the smooth finish used on them, but underneath it, you also feel the strong and sturdy brass. On the other hand, the black fabric of the hose feels stretchy and strong on touch. There are no seams on it to change the texture of the feel. However, its stretchiness changes with use. Also, an increase in the amount of water pumped into the hose reduces the stretchy feel. Overall, it has an impressive look and feel. Price: The other feature taken into account in the brass bullet pocket hose reviews is its price. It is done so in comparison with the price of other expandable hoses. The Pocket Hose is relatively more expensive than other similar products like the Dap Xhose and the Flexable Hose Extreme. However, with a comparison of their performances, the Pocket Hose gives you better value for your money than the other products. This hose has only two expandable lengths; 25 and 50ft, hence it doesn't expand as far as Pocket Hose does at 50, 75, and 100ft. The Dap Xhose is also heavier than Pocket as it weighs around 4.1lbs. The Pocket Hose's performance is superior to what this product offers since, within a few days or weeks, customers complained that the latter hose split or burst. Moreover, the build of Pocket Hose is stronger and stretchier than that of this hose. Pocket Hose is recommended by persons needing relatively higher water pressure like car washers. Dap can be used by gardeners when watering plants as these require less pressure. The pocket hose brass bullet reviews aim to compare the performance of the Xhose Pro and Pocket Hose. First, this hose can expand to 50ft only, which is less than Pocket's 100ft maximum. The Pocket Hose is heavier at 1.9 lbs as compared to Xhose's 1.6ft. After bursting, it is possible to repair tears on this hose. However, when the Pocket Hose splits or bursts, you have to replace it. Generally, the performance and durability of these two hoses are alike, and the period of use before bursting is almost similar. Both of them are recommended for use by gardeners, persons washing cars, or using them for small to medium water pressure needs. The Expandable and Flexible Hose can expand up to between 25 and 75 ft, a fair comparison to the Pocket Hose. While Pocket Hose comes with a money-back guarantee, this product comes with a money-back warranty and a lifetime return policy. It is also made of stronger and stretchier fabric and is less likely to burst than the Pocket Hose. In fact, most reviewers of the Expandable say that the hose is yet to burst after a long period of use. Generally, this product has a superior performance to that of the Pocket Hose and is also more affordable. It is also recommended for medium to high-pressure water needs.